Love it, but I am a bit conflicted on this, though. I don’t like the overly simplistic ‘natural is healthy, man-made is poisonous’ approach, but I think most would agree that a diet full of fresh natural food is preferable to a diet of of long-life, processed synthetic food. Why would someone agree with that when it’s a bunch of nonsense? Sorry, what are you saying… that unprocessed food is no better for you than processed food? If you do think that, you’re wrong and frankly, a bit simple. Some of them are listed as E-numbers. And for the flavours, I kept to the IUPAC chemical names. Also note that many, many minority ingredients (i.e. In very low concentrations) are omitted for brevity. Nice idea. It’s on my (long!) to-do list. Any chance at getting these as an actual poster instead of a t-shirt? 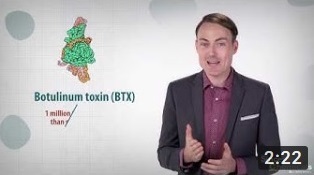 I’m a chemist working in pharmaceuticals and I would love to have this on my office wall. Please let me know! Today/tomorrow, I will start selling them. I have high quality signed prints ready to sell and posters are coming soon. Check back in 12 hours. That’s awesome! I’ll check back. Thank you, it has been bothering me for years that people assume that anything with a chemical name is bad for you or that anything natural is good for you. Awesome idea! Why don’t the essential amino acids asparagine and glutamine ever appear in the ingredient list? Good point. My source for the amino acids is Nutritiondata.Self.com in each poster. Why aren’t they listed on that website, either? Hiya James, I did a bit of digging. The standard release-26 document is available here: http://www.ars.usda.gov/sp2UserFiles/Place/12354500/Data/SR26/sr26_doc.pdf.This document shows that most of the amino acids are analysed by acid hydrolysis/HPLC (pg 25). Thus the measures you see for aspartic acid and glutamic acid are going to be overestimates and there will be no asparagine or glutamine. Thanks for the information! That does explain the difference. I simply adore that idea of posters! Greetings from Poland!! Did you know that these were published in Polish in Gazeta Wyborcza? I was most impressed with your list of analytical components for the Australian Passionfruit monograph – I have searched everywhere to find this ( I am researching a numerical method to calculate the sugar/acid balance – for an Australian Passionfruit Liqueur manufacturer ). However, form your monograph, the list was missing the component “Organic Acids”. 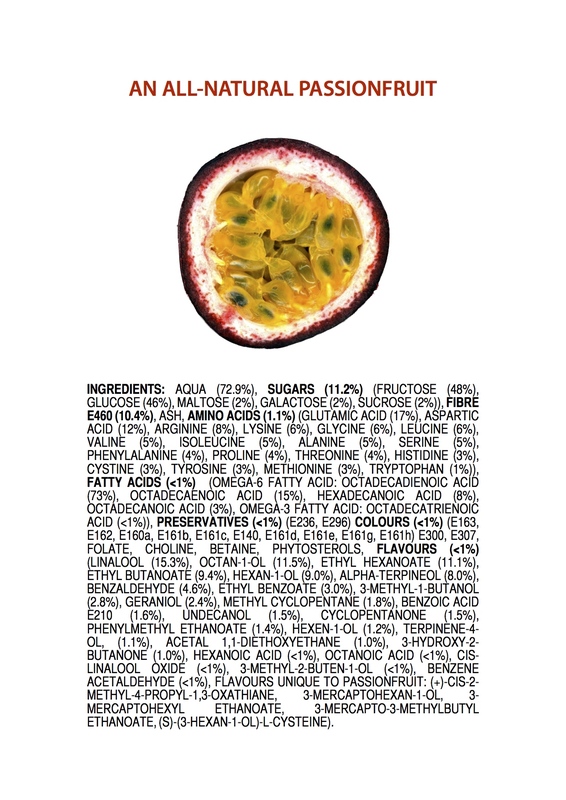 1/ Would you happen to have a full print out of these “Organic Acids” for the Australian Passionfruit, please ? 2/ ( Also, a small clarification: Was this analysis done for the purple variety passionfruit ? The purple variety is my preferred variety for liqueur manufacture based on taste profile ).